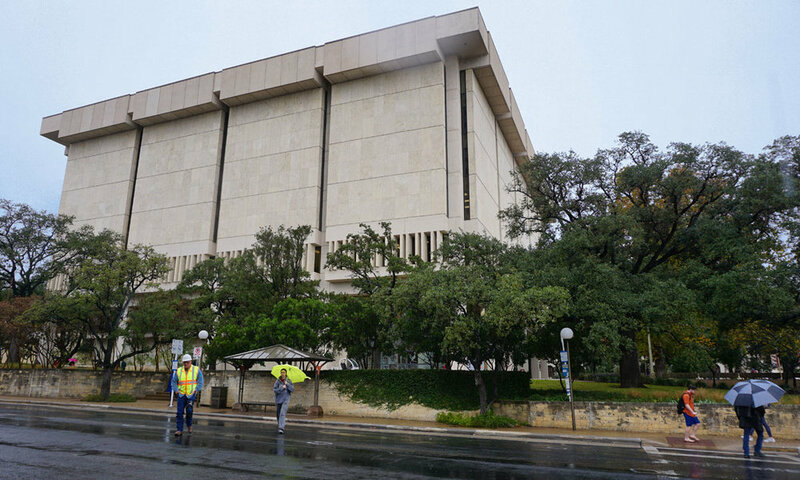 The structure of the Harry Ransom Center building is alluring. My camera came out of my bag and I began shooting. 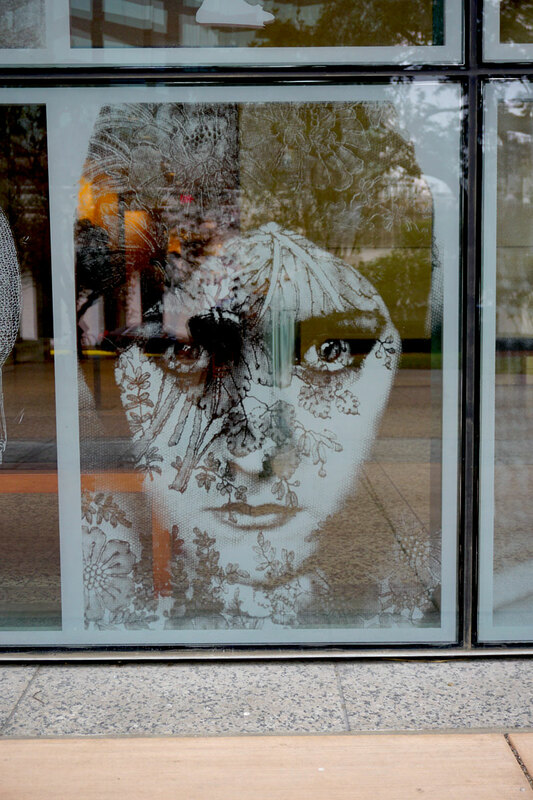 I wanted to take photos of the etched glass images of the first-floor plazas—trying to recognize the images became a game! Olivia Primanis invited me to a second French lunch. I enjoyed dialoguing thoughts and ideas in my native tongue. French conversations stimulate a different rapport. This get-together gave me the chance to visit the Conservation Departments of the Harry Ransom Center. 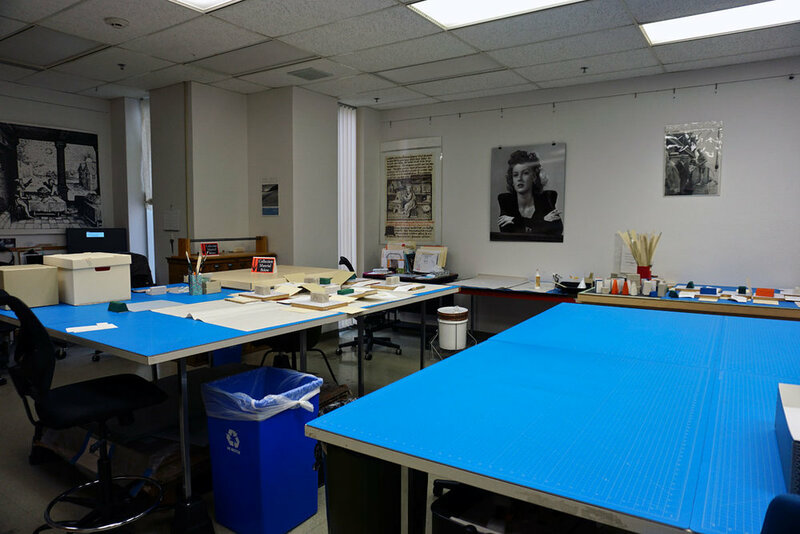 Then we stepped into the Paper Conservation Lab where this year’s intern Kimberly Kwan was working. 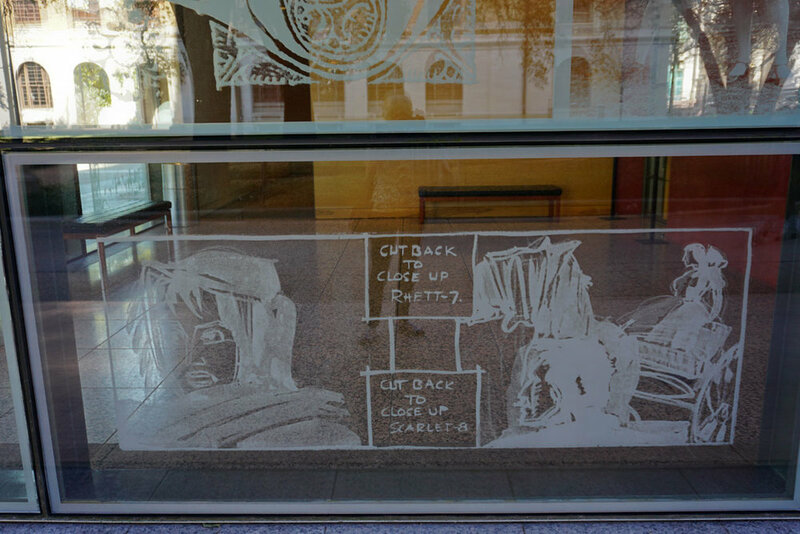 I met Ken Grant, Head of Paper Lab, Preservation and Conservation and Jane Boyd, Conservator of the Paper Lab. The third lab was the Photograph Conservation, I found it interesting to see the equipment used by the staff to accomplish assignments. Last, but not least, I visited the Preservation Lab, where I was introduced to the different collections that are maintained and kept. Genevieve Pierce, Preservation Technician, was informative and knowledgeable. This was a great exploration, I’m looking forward to perusing the Books Arts Collection in depth next year.